Food Waste. Challenges and Solutions. A Documentary Shorts Series. 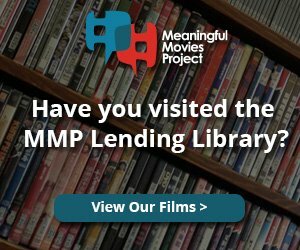 A documentary shorts series followed by community conversation. Today, 40% of the food produced enters landﬁlls where it is expected to decompose. Approximately ¼ of water consumption and over 300 million barrels of oil used in producing and distributing food winds up in landﬁlls. We can do better! 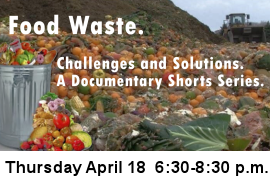 An informative short film on the relationship between food waste and resource waste. A film production of SCHNITTSTELLE THURN GbR commissioned by WWF Germany and UNEP in collaboration with SIWI and FAO. Filmmaker Karim Chrobog looks at the staggering amount of food wasted in the U.S. – a problem with major human and environmental costs. This film includes waste at the delivery level. As trucks travel cross country they must deliver within certain time frame for “freshness”–if they miss it, food gets dumped. In the second of two videos on food waste, filmmaker Karim Chrobog travels to Seoul, South Korea, which has implemented a high-tech initiative that has dramatically reduced its waste. Thurston County Food Rescue video that shows various local businesses and schools actively participating in the program, boxing up leftover food, storing it, transporting it and distributing it to hungry people. First made in 2013, this video about food rescue was updated in 2016. Discover how the Thurston County Food Bank rescues food and feeds people. It’s simple. It’s rewarding. It’s fun!